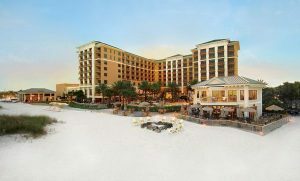 There is so much to do in the little Florida paradise of Clearwater, Florida, but one standout rising above it all is the Sandpearl Resort. After all, Clearwater Beach has had a good reputation for years as a beach destination since the beaches are both secluded or family friendly – take your pick. Beach real estate encompasses a three-mile stretch on the Pinellas Peninsula on the Gulf side and the Sandpearl occupies a part of that beach offering an incredible old world beach vibe. Located where the Clearwater Beach Hotel used to sit back dating back from the 1930s, the resort boasts 700-feet of pristine gulf coast white sand and an environmentally friendly attitude. It’s the kind of place where you can leave to explore the town or just hang around the beach and the property and have a good time too. There is the award winning spa with 12,000 square-feet of reasons why you must visit. With over 50 services to choose from at the spa there is one treatment that lasts for six hours and includes the Essence of Sandpearl Ritual, treatments with algae oil, green tree extract and minerals and there is also a spa happy hour for groups. Indeed, spa time is happy time at Sandpearl Resort. The Sandpearl Resort is also the first LEED certified resort in Florida. Translation; eco-friendly and eco-luxury combined. The resort partners with “Clean the World” an organization that gives all its unused soap and shampoo to thousands of needy families around the world. My favorite part of visiting Sandpearl Resort was the old world charm brought on by the perfect s’mores moment on the beach sitting around the fire pit with friends. There is also the traditional sunset bell, which calls the guests to watch the sunset and roast those aforementioned s’mores with something they call “bottled heat” a part of the equation as well. Bottled heat is a tradition at the resort in which they give out bourbon to all the guests to warm the soul against cold nighttime temperatures. Some other fun activities at the resort include biking around town and you can even get a bike from the Sandpearl folks. There is a children’s program Camp Ridley (ask about the mermaid who reads the children books by the pool) or there is Astronomy Night – can you imagine the many stars one is able to see on the beach on a clear night at Sandpearl Resort. After all the fun that can be had in a day at this charming resort it’s time to talk about what’s for dinner. There is a AAA four-diamond restaurant that you are not going to want to miss. It’s called Caretta on the Gulf and one major standout here is the organic vertical garden that grows a variety of herbs used in the dishes served at the restaurant. There is also a special organic menu and you can do some organic cooking demonstrations if the foodie in your soul needs to be calmed. From check-in to check-out the experience is exceptional and the resort even has a few off site offerings up their sleeve for guests too. My favorite was the Craft Beer Trail Service that I did with friends as we were chauffeured around to the different breweries in the area. There are a number of breweries in South and North Pinellas County and some would say you can think of it as Florida’s answer to California Wine Country. On our fun night out we stopped in at Dunedin Brewery, 7venth Sun Brewery and then had a tasty dinner at Sea Dog Brewing. There are many activities in the Clearwater area to take part in and the folks at Sandpearl Resort are gracious and always willing to help you make a plan. 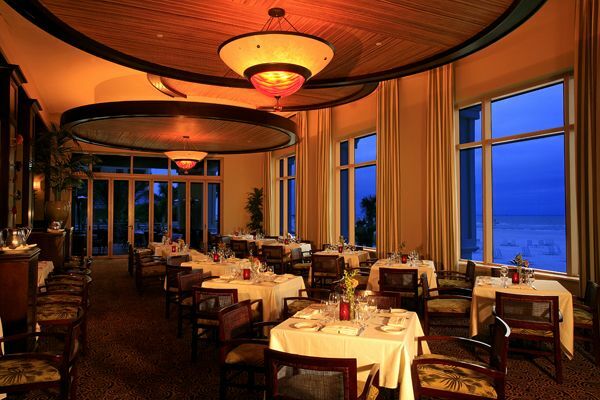 Just make sure part of that plan is hanging around the resort in the sun, at the restaurant experiencing a few meals and at least one treatment at the award-winning spa since old world Florida is hard to find and worth every minute at Sandpearl Resort.